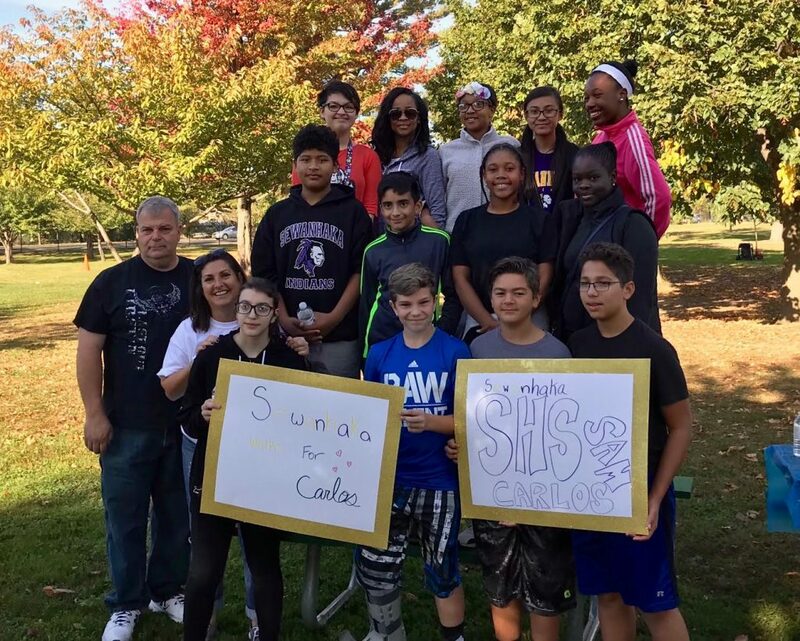 Seventh-graders from Sewanhaka High School participated in the Juvenile Diabetes Research Foundation Walk at Eisenhower Park on Sunday, Oct. 22. This year, the students walked for Samantha Hrbek and Carlos Dias. The students collectively raised $250 for the cause of juvenile diabetes research. Photo Caption: Sewanhaka High School seventh-graders participated in the Juvenile Diabetes Research Foundation Walk at Eisenhower Park.